The law reform and human rights organisation JUSTICE last week released a new report that will be of considerable interest to readers of EIN, as it takes a wide-ranging look at the immigration and asylum appeals process. The comprehensive 92-page report is here. A working party of legal professionals was set up by JUSTICE for the report to consider how the system of immigration and asylum appeals might better fulfil its purpose of making lawful, timely and just decisions. • Home Office refusal decisions, finding that better Home Office decision-making – and getting it right first time - is the key to delivering a better appellate system. • The application process for immigration and asylum appeals, paying detailed attention to the move to online processes and highlighting the issue of unsupervised, unqualified and poor quality representatives purporting to provide advice and assistance to appellants. 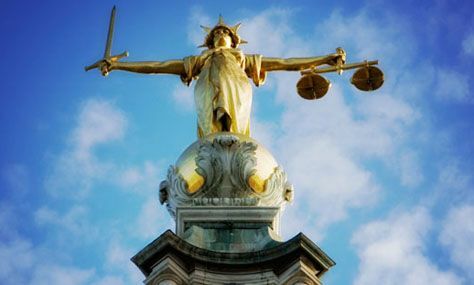 • Appeals against adverse decisions of the Home Office on immigration and asylum matters in the First-tier Tribunal (Immigration and Asylum Chamber), considering the important role of tribunal case workers and judicial case management to improve tribunal efficiency. • Hearings in the First-tier Tribunal (Immigration and Asylum Chamber) and Upper Tribunal (Immigration and Asylum Chamber), focussing in particular on video-conferencing and video-hearings, recognising the potential advantages of these models while stressing the fundamental principles that should govern any expansion in their use and where they will not be appropriate. • Appeals to the Upper Tribunal (Immigration and Asylum Chamber), Judicial Review applications and appeals the Court of Appeal, focusing on the multiple stages of permission to appeal. The key theme that emerges from the report is that better communication is needed between all the parties involved in the appeals process at all stages of the process. The report states: "We make several recommendations designed to achieve this. At one level our concern is that there needs to be better communication at the pre-appeal stages up to the time of a hearing so that the Home Office is able to review and, if appropriate, withdraw a decision. That way issues can be narrowed and unnecessary hearings avoided. At another level we have recommended that communication between the parties involved in immigration and asylum appeals would be furthered through the Immigration and Asylum Chambers convening informal discussions between the different parties involved in the process on a regional and national basis." • Getting Home Office decision-making right first time and building in an effective review system as key to delivering a better appellate system. • Ensuring the move to online processes enhances rather than reduces the ability of people to participate – through clearer forms, translation, security measures and careful consideration of video hearing roll out. • Reducing unsupervised, unqualified and poor quality representatives purporting to provide advice and assistance to appellants through heightened scrutiny mechanisms. • Promoting the important role of tribunal case workers and judicial case management to improve tribunal efficiency. • Retaining rights of appeal as a fundamental safeguard but streamlining certain permission and review processes. Andrea Coomber, Director of JUSTICE, said the report shows that all actors involved in the system of immigration and asylum appeals need to improve the quality and efficiency of their processes so as to ensure that those who are entitled to remain in the UK are able to do so in a timely manner. Professor Sir Ross Cranston, who chaired the JUSTICE working party, said: "The Immigration and Asylum appeal system suffers from widely reported deficiencies and a culture of non-compliance with the rules and practice directions. This leads to high volumes of cases in the appeals system and lengthy delays. The Working Party recognised that the reforms underway present an opportunity to improve the processes, but considered that further measures are needed to effect meaningful change." In its coverage of the report, the Law Society Gazette highlighted that the JUSTICE working party expressed concern over incompetent and dishonest practitioners and urged tribunals to refer them to the regulator. Speaking at the launch of the report, the Senior President of Tribunals, Sir Ernest Nigel Ryder, was quoted as saying: "I want to see a sea-change in the attitude in some representatives, particularly to compliance in decisions and other aspects of professional good practice. We should not have to invoke the Hamid jurisdiction that often. We should not tolerate the waste of valuable resources judicial or otherwise."